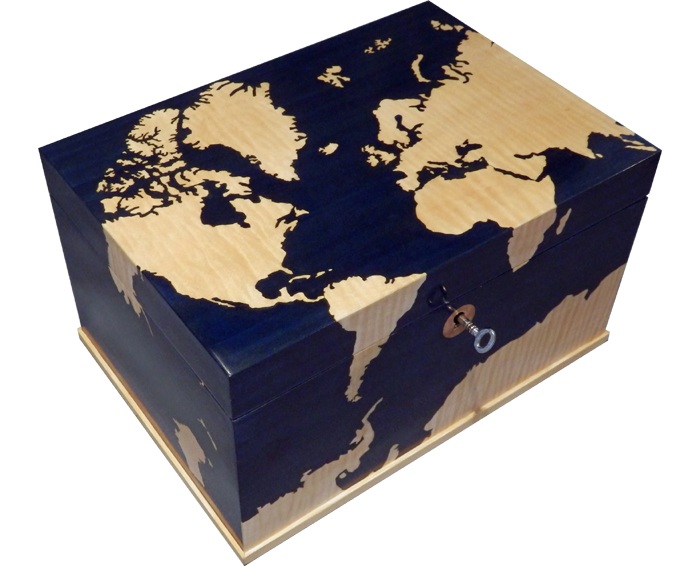 A box for a world traveller. Gorgeous Ripple Sycamore (land) on dyed Sycamore (sea). Interior decoration including a Map of Scotland under the lid and clan motto. Plus clan tartan lining. And secret drawer with Digby’s stylised thistle design above.